Custom HTC Vive virtual reality gaming using the new nVidia RTX processors for the best possible experience in the world today (and themed for your party or event). It is not possible to get a better experience for your guests. We own commercial licenses to virtually, no pun intended, every virtual reality game or experience for the HTC Vive virtual reality platform available today. Our computers use the most powerful graphic processors in the world (the new rTX cards from nVidia). Because we are 3D design & animation specialists we also build our own games for the HTC Vive platform. We can insert your name, brand, message or logo into the interactive experience itself (again we do not mean a simple overlay). 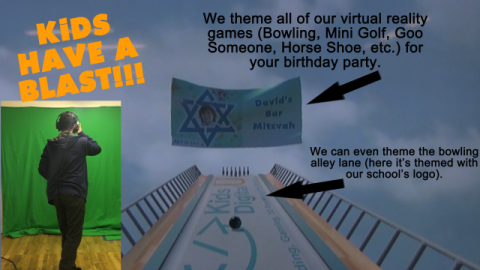 For example, we can outfit the bowling balls with your name…as if the game was just built for your party or event. If you are serious about a virtual reality experienceat your event, you cannot possibly do better than Newton Animations. As noted we own licenses to every virtual reality game and experience on the market today. In addition, we’ve built the following 4 games ourselves (picture inserts shown below). 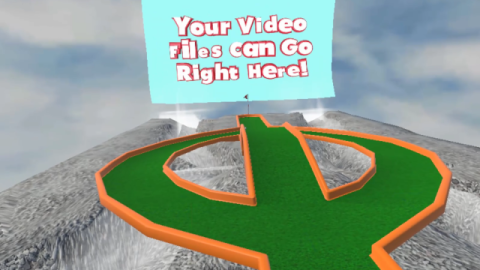 We can put your name, brand, message and/or logo as a three-dimensional asset into each game. 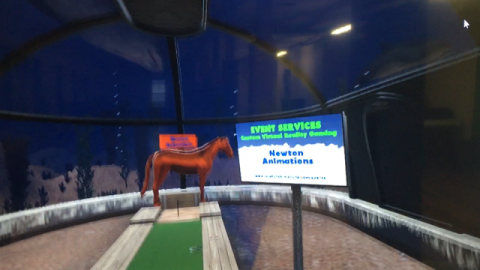 We’ve built a virtual bowling game, Goo Someone (a great way to tease the boss), mini-golf and our own horse shoe toss game.We are developing a virtual home run derby for the HTC Vive. It’s coming soon. Call us 7 days a week at 781-708-1255. 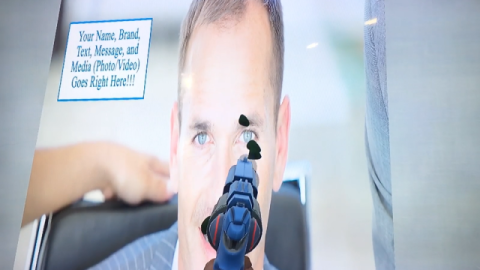 We have recently invested in new Microsoft Hololens Gaming technology. We make our Hololens gaming systems available for rent right now. Call us if you are looking for a truly one-of-a-kind entertainment experience at 781-708-1255…or come back very soon for more information about our newest event entertainment systems.